I have been asked quite often how Stella and Sam became TV stars. What was my role in their transformation? How did I participate in this transformation? Am I happy with the results? It certainly wasn’t done overnight! About 10 years ago, Groundwood Books and I started receiving offers to do an animated series with my Stella and Sam characters and stories. 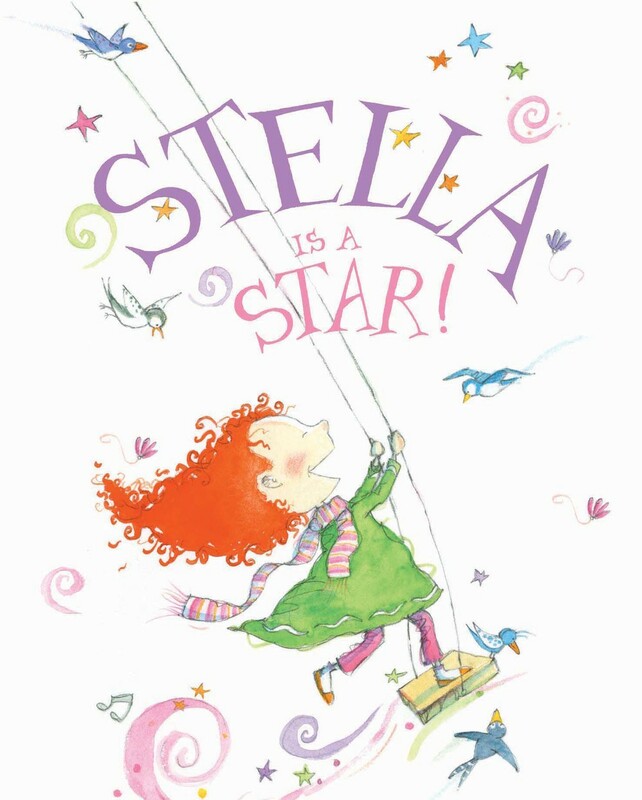 At that time, there were only two Stella books: Stella, Star of the Sea and Stella, Queen of the Snow. For various reasons, these deals fell through. One thing was most important for me: I wanted to have creative approval and work with the production, especially at the beginning. I also did not want to sell book publishing rights based on the drawings and stories in the animated series. And I wanted a production company that would respect the books that I had created and would choose to stay as close as possible to the original concept. But in retrospect, the most important reason was that I had just started my series of books and had not sufficiently developed my characters and ideas. When Radical Sheep Productions came along and professed their interest and enthusiasm, I had, by then, written and illustrated four Stella books and two Sam books. I had created their world and fleshed out their characters and their relationship to one another. 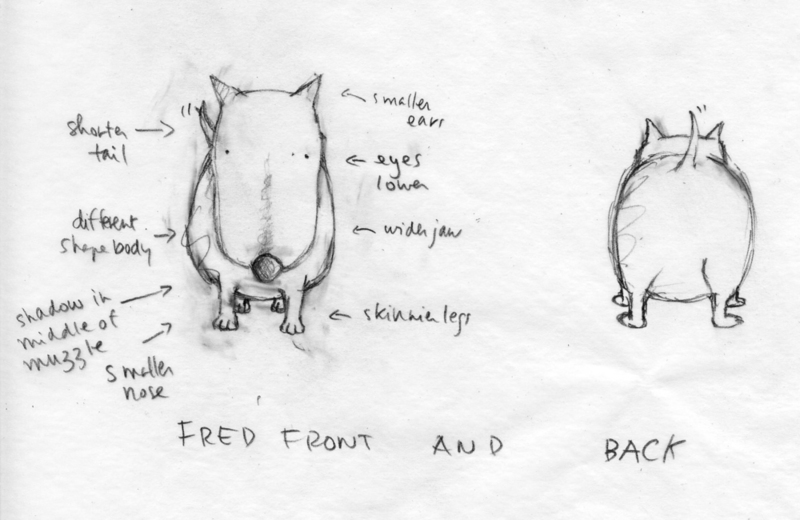 Fred had taken on a more prominent role. Stella and Sam inhabited their world fully, had a unique language and an original perspective of the natural world around them. I had developed Stella’s creativity, her imagination, her love of nature and discovery. I created Sam’s curiosity, his timidity, his secret fears and his sense of wonder. Stella and Sam were ready to leave their first home and explore other places. The first thing to do when creating a TV series (apart from finding money to finance it) is to write what is known as the “bible.” This bible is a precise compilation and description of the characters, their personalities, their qualities and faults. It is also a description of the world they will live in, the type of adventures they will have. The writers as well as the animators will consult this bible. I very much wanted to be involved in the creation of the bible since it sets the tone for the whole series. And I did collaborate extensively on it. At a certain point and after much debate, it was decided that we also needed new characters that were not in the original books. I then created Felix, Ivy, Owen and Pattycake and we wrote them into the bible. Here are the color sketches I did of them:But how do you translate very detailed pencil, watercolor and collage illustrations that lie quietly on the page, waiting to be read and poured over and over again by small children, to another platform where computer images are created to move and talk and dance and play — all this without betraying the original concept? I guess the answer to that is to find artists who will respect the original work. Mercury Filmworks created the computer images of the characters, the landscapes, the colors, the movements and the visual identity of the show. They stayed as close as possible to the art in my books. For example, they scanned some of my watercolor washes and incorporated them into the computer images. The same was true for the handmade Japanese paper I used for collage and texture in my illustrations: they were scanned and used as tree or bark textures, tablecloths, carpets, wallpaper or even Sam’s iconic pith helmet. But Mercury also had to create the backgrounds: the landscapes and houses and interiors, part of which did not exist in my books. Again, I was called upon to approve these images. As soon as the voices were recorded for each episode, a leica or animatic was produced with the storyboard stills adding voices and sound effects. Then the animation could begin…the music was created…and voilà! Two years later you have a show! As you can see, I was quite involved as a creative consultant every step of the way. I enjoyed the experience of working with a team instead of working by myself as the author and illustrator of my books. I also appreciated the learning curve because even if I had studied animation when I was in college, and understood the underlying principles of animation, the technological progress was staggering and there was a lot of catching up to do.